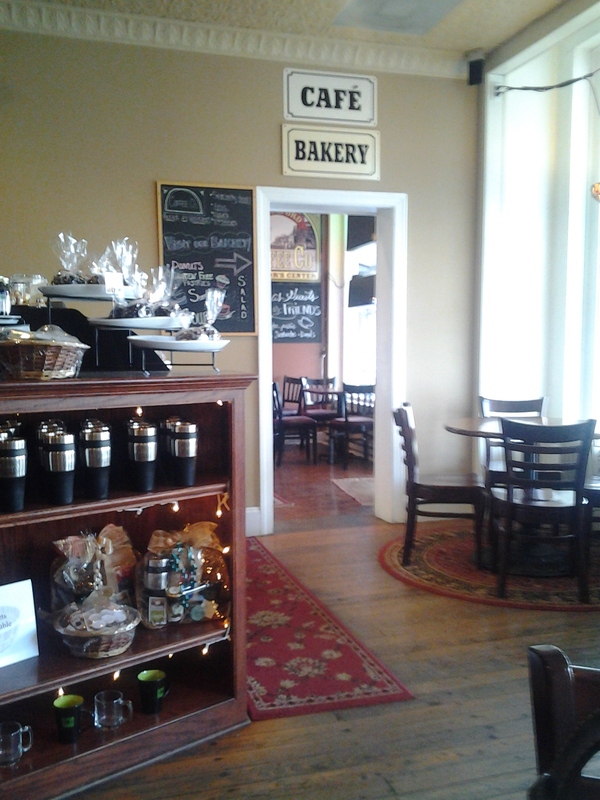 Coffee House Insider, New Oxford Coffee Co. The New Oxford Coffee Co. is one of those places you just dive past over and over again if you aren’t looking for it. Have you ever driven through a roundabout? If not, it’s typically a four way intersection with no stop signs or lights, just yield signs and a giant circle you drive through around to get to your destination. (I love and hate roundabouts; nearly every job I’ve ever had I have always ended up driving through one of these to get to and from work. They are great if everyone knows how to use them. If not, well let’s just say I’ve almost been side swiped one too many times.) New Oxford Coffee Co. is set on the side of one of these roundabouts, as if it is almost part of it. I can’t tell you how many times I have driven past this place before that one magical night I made out the word “COFFEE” glowing in neon glory. BRAKE! Not really…I just circled the roundabout again (btw it’s kinda fun circling the roundabout over and over again) and pulled in. Right when I stepped through the old French style doors, my heart just melted. This place was old; at one time I imagine it might have been a drug store or soda shop. One of the first things I noticed was the tin ceiling with little designs in it(Love these!) and that the dark wood floors creak under your feet. Little round tables, stuffy chairs, bar stools and a leather couch provide lots of seating. The smell of fresh ground coffee hit my nose, pulling me further in. The menu isn’t enormous, but provides all of the essentials: espresso, coffee, tea, tea latte, iced coffee, frappes etc. and of course features a glass case filled with desserts–desserts dusted with sugar, filled with chocolate, covered in crumble. My favorite drink: When I go to coffee places I usually, nine times out of ten, get tea. I LOVE TEA! There is just so much variety when it comes to teas and so far I have liked most of everything I have tried (except Earl Gray…bleh). They had a tea blend, I can’t remember the official name of it, but I saw it contained strawberries. OH MY WORD…divine goodness! The tea definitely was harvested from some kind of strawberry heaven. Extra features: I noticed the shop had a doorway which led to another room, it was already a decent sized coffee place so I was thinking, “Wow, there’s more? Impressive…” I walked through to discover this isn’t just a coffee house. It is actually a bakery; you can get wedding cakes, desserts that are more than brownies and scones, breads all fresh baked. 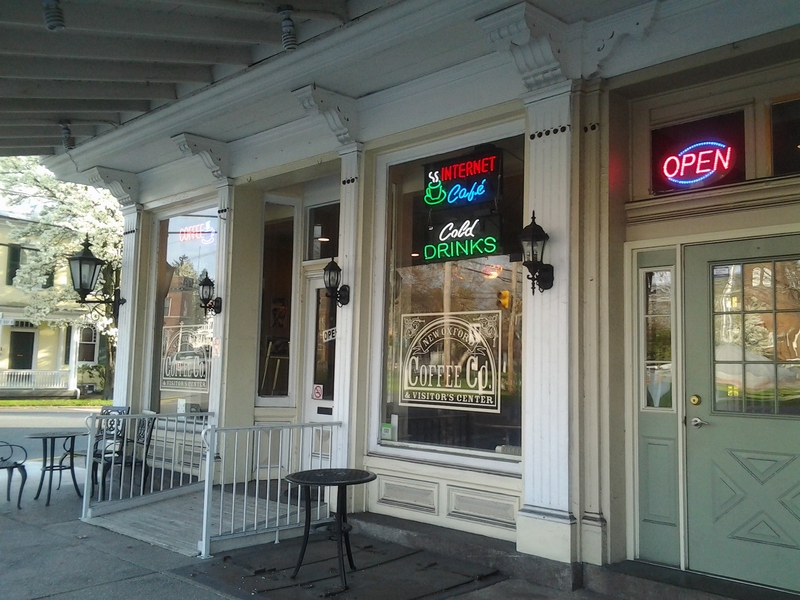 If this wasn’t enough, connected also to the coffee house through the bakery is a doughnut and sandwich shop called “Holey Joe’s”. It is pretty much the Marble Slab of the doughnut world. You can create your own doughnut. You pile on the toppings (there were a ton of options–bacon the real deal, chocolate chips, crushed waffle cone, etc. ), pour on the glaze (once again, lots of options); you could add ice cream, whipped cream, frosting, etc. AWESOME! I haven’t gotten a sandwich there, but the menu looked mouthwatering. The last thing which makes this coffee shop extra special is they give proceeds to and support different areas around the world where disasters have happened or where poverty is prevalent. A corner of the shop has jewelry, handbags, scarves, etc. which are products all made from mothers, fathers, children from around the world and directly support them. New Oxford Coffee Co. is doing more than just providing eats and treats; it’s trying to make a difference in the world…even if it is just a small way. Ever in New Oxford, PA? CHECK IT OUT! What you need: Reese’s Peanut Butter Easter Egg Candy, chocolate chips (just pop them in the microwave for a few seconds to get them melted), and cherry tomatoes. What’s the best prank you’ve played on someone? What is the best prank someone has played on you? The young boy, Han Velsing, stood frozen in fear. The snow covered world around him suddenly filled with an unholy presence. He felt his eyes burn from the evil that permeated the air. He knew what was coming. He heard the thrust of powerful wings bat the air and then the crunch of snow when it landed. Sweat began to trickle down Han’s forehead even though it was bitterly cold. His predator stood towering in front of him. The Vampire’s skin was white as a porcelain picture. His cheeks were sucked in and hollow. He smiled wickedly, showing off his sharp teeth. Han dashed away knowing it was pointless. In seconds the vampire thrust Han brutally into the snow. Han’s trembling fingers gripped the item in his pocket. It was something his Mother always told him to carry with him for good luck. As the Vampire’s fangs lunged towards him, Han screamed and shoved the pungent “good luck” charm in the beast’s face. The Vampire screamed like a mountain lion and his body began to convulse violently. He thrashed and jerked and then was still. Han had killed the monster. Amazed, Han stared at the object that saved his life….a clove of garlic. This bulb which is bursting with flavor, is probably one of the most used spices around the world…or at least in my kitchen. I am a garlic fanatic!It is one of those staple ingredients that is a MUST in every kitchen and for every cook. Just take one whiff of a garlic bulb and you will know that it is a strong cooking ingredient when used raw, however when you cook it the garlic sweetens. Garlic has been used by people all over the world for ages. Not just centuries; we’re talking THOUSANDS of years. The exact time garlic was cultivated isn’t certain, but it was grown in Mesopotamia around 3000 B.C. 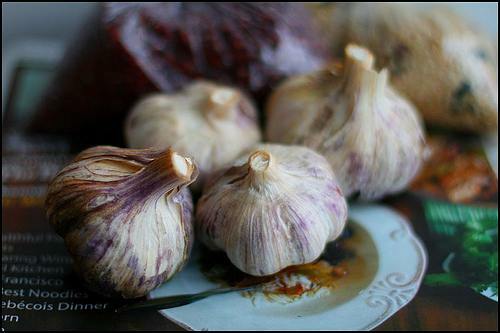 Culturally, garlic has been a prized spice. 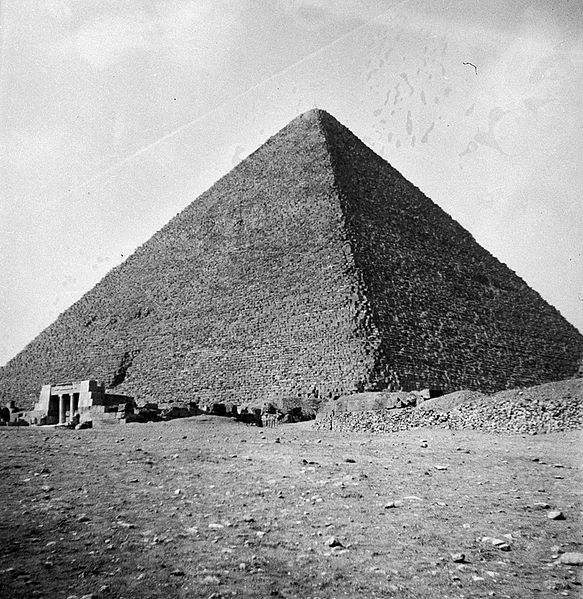 In Egypt, “Garlic bulbs were fed to the Egyptians who built the pyramids and were placed in Tutankhamen tomb.” -from Spice Islands Website. In the works of Hippocrates, Pliny the Elder, the Bible, Homer and several other famous historic documents have noted garlic in their writings used as medication. Garlic was given to the ancient Greek athletes when they were competing in the Olympics. Garlic was believed by many cultures to increase strength and endurance. In many countries, garlic was a staple food for soldiers. Henry IV of France was baptized in water with cloves of garlic. Garlic was hung on door posts and around necks to ward off evil spirits. In Europe it was believed it would ward off werewolves , demons and evil spirits, The Plague, and rabid animals (probably how the werewolf legend was born). According to a Korean legend garlic was considered to be sacred food. China is the largest producer of garlic…23 billion pounds are grown annually. WOW! Garlic is full of vitamin C and research shows it is a cholesterol fighter, cancer fighter, fights infections and has anti-aging properties. It has been referred to as “The Stinking Rose”. Different cultures all over the world seemed to believe that garlic was good for pulmonary disorders and respiratory disorders as well as being beneficial to the cardiovascular system. The only thing I don’t quite enjoy about garlic is the way it makes your hands and breathe REEK. There have been times when I have chopped garlic and scrubbed my hands 10 times and still the smell remains. And when it’s in my mouth? No toothpaste, no mouthwash, no liquid can seem to rid that horrid smell. During my garlic research I found that parsley is something that will kill garlic breath. I haven’t tried it but I will! One thing I have tried is swishing my mouth out with organic, unrefined coconut oil; it seems to get rid of the smell/flavor for the most part. This stuff is from heaven! and salt and pepper. Toss is a blender and walla! Ranch Dressing goodness!). 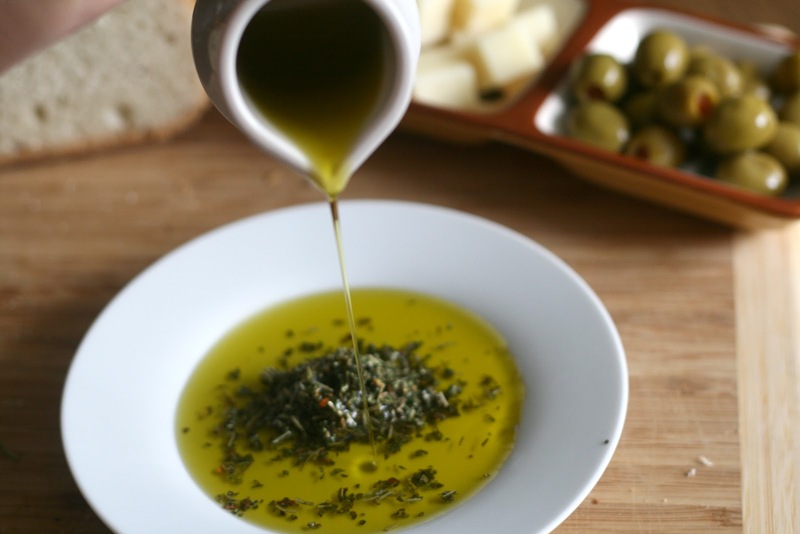 Use in olive oil with Parmesan and Italian Spices for bread dipping oil. Basically, garlic is what’s for dinner! Are there any special ways you use garlic? The American Society for Nutritional Sciences, “Historical Perspective on the Use of Garlic”; Wikipedia; Spice Islands; Dr. Christopher’s Herbal Legacy. what’s not to love about fortune cookies? What is your funniest fortune cookie fortune? Perhaps this could be a future creative writing blog post! !